Sir Sean Connery makes a yearly visit to Burgundy and Provence. 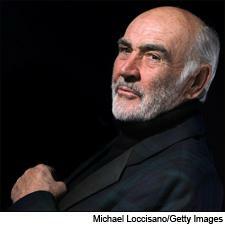 Sir Sean Connery, 79, burst into stardom in 1962, with his portrayal of British secret agent James Bond in Dr. No. But Connery appeared in dozens of films between his debut in 1954 and his retirement in 2003, and he won an Oscar as best supporting actor for his 1987 role as Jim Malone in The Untouchables. In 2000, he was knighted by Queen Elizabeth II. Connery was born in Scotland, has lived in Spain and Switzerland, and now spends most of his time in the Bahamas. He spoke with executive editor Thomas Matthews, who has equated Connery, Bond and the good life since seeing From Russia With Love in 1965. Wine Spectator: Tell us about your interest in wine. SC: I can tell you more about whisky than wine. I'm not an aficionado by any means, mostly because I have a heart condition and am not supposed to take much alcohol. But I do drink red wine, because of my great friend David Murray [a Scottish entrepreneur who owns two French wine estates, Château Routas in Provence and Domaine Jessiaume [in Burgundy]. He showed me the evidence that it was good for the health. I favor Merlots from Chile for their value, and I keep a good deal of California wine in my cellar. Don't ask me to tell you their names. I have one that cost me $2,000 for two cases, which I think is rather steep, but people are prepared to pay it. WS: Is there a particular wine that has really stuck in your memory? SC: I once lived a few years in Spain. It was around the time I was doing The Man Who Would Be King [in 1975]. I enjoyed a wine called Vega Sicilia, and back then, you could get it by the bucketful. Now it's several hundred dollars a bottle. WS: Do you ever visit wine country? SC: I spend a week every year in France with David Murray. He's got the two main bases. We fly to France, then pick up the car, drive down to the coast and spend a week. Château Routas is 1,300 meters above the sea, and it's just a perfect site for health. There's nothing but wine down there. It's amazing to see how it's all done, from soup to nuts, and how important it is to everyone. The people are really in tune with what they are doing, and it gives a great atmosphere. We have good food and wine every night [chuckling]. When we're at his places, we drink his wines. But when we're traveling, we try everything. He's a great wine connoisseur, and I just go along with him. Providing you have nothing else to do, it's a marvelous way to spend some time. WS: As James Bond, you played a character whose connoisseurship of wine was a defining trait. How much of that was from your own experience? SC: That was all part of the character. I remember the Dom Pérignon scene in Dr. No. But I can't really claim I had any knowledge of wine at the time. The director, Terence Young, put a great deal of sophistication into the films [Dr. No, From Russia With Love and Thunderball], and he never got the credit he deserved. He taught me, and helped develop the character. I can wear the clothes well, but he was the one who picked them out. Dr. No cost $1 million in 1962. Today, to make that film would cost $100 million or more. That gives you an idea how it's gone. Wine is the same thing. It should be noted that Harry Waugh felt that the 1934 Mouton was "just reaching its apogee" when he tasted it in 1953. [Michael Broadbent: The Great Vintage Wine Book; 1980]. We can only assume that the wine cellar at Blades would offer perfect storage conditions for the half-bottle of '34 Mouton. Thanks for the great read Tom! I've never actually read any of the books. Perhaps I should. The books and the movies are very different; Bond himself is very different in the two media. Both are great! I would imagine Bond, and Sir Sean being a Scotsman, are fans of whisky, not whiskey. And Bond being a blunt instrument tends to prefer the hard stuff, vodka martinis, over a tight Burgundy. I'm sure you're correct, at least as far as Sir Sean is concerned; that was probably a transcription error on my part. As for Bond, my reading of the books suggest he would appreciate both, depending on the situation. SC, great actor by my standards. It is good to know that is a wine aficionado. Some day I will visit Château Routas.